Preheat an oven to 350 degrees F. Line a cookie sheet with parchment paper. Remove the leaves from the thick stems and tear into bite size pieces. Wash and thoroughly dry kale with a salad spinner. Drizzle kale with olive oil and sprinkle with salt. Massage leaves with oil until covered. Take out and put on a cooling rack with paper towels beneath the rack. Store in an airtight container. Welcome new vendors to the market! Alta Cucina Italia sells blended seasonings, infused oils and balsamic vinegar reductions, and homestyle tomato sauce & pestos. We have a couple of vendors offering sales this week. Red Barn Farm has all their plants on sale, My Daily Bread has all jams on sale. Sale prices are as shown online. My Daily Bread also offers free slicing of all yeast breads. ARTISAN OF THE DAY This week we are happy to have Secret Garden Soap joining us at the market to show you all the wonderful soaps she crafts. She’s a wealth of knowledge about skincare and soap ingredients, so get your questions ready. Congratulations, Jean Chung on winning the drawing for the Heritage Farm organically raised turkey! 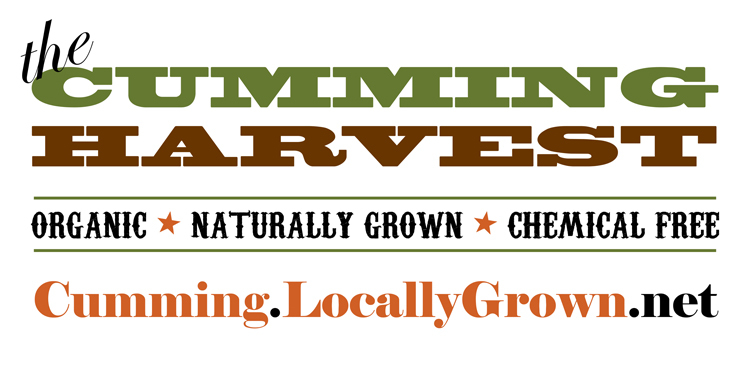 Thanks to everyone for your support of locally grown. Stone County, AR: Market's Closed! The Market’s closed until Sunday. A late change…spinach is here! If interested, dial some up! The market closes tonight at 10 P.M. To place an order, visit Conway.locallygrown.net/market Please make sure to hit the checkout button. You will receive a conformation email once you place your order. Homegrown Co-op: Online Market open for Sat. pickup or delivery! This year, supportive local businesses have teamed up with Homegrown to create a Match Fund, where each community contribution will be matched, dollar-for-dollar, to help us reach our $18,000 goal! Pickup is from 12-7pm on Saturday December 1st. Sorry, we cannot accommodate early pickups at this time. As we head into the last few hours of the market this week I wanted to offer up a reminder to consider our wonderful vendors when selecting gifts for your loved ones for the holidays. From local maple syrup, honey or garlic, to baked goods like homemade noodles, spices, herbs, and breads, we have many items that family or friends would be happy to receive. Many items are shelf-stable and could be wrapped and placed under the tree or in a stocking too. While we can’t possibly name them all, please remember that local dollars spent on local items stays mostly local! And if it cannot be placed under the tree, start a new tradition of gifting it into their refridgerater or freezer! Blame it on the elves and deposit that roast or sausage right into their freezer! What a surprise it would be! Taking a road trip? Order extra cookies or a loaf of Cosmic bread for the ride! The options are endless! Let’s work hard to make your cyber Monday really virtual Tuesday and support your local food providers! Volunteers for this week’s pick-up day are DocJody and Phyllis Kincannon. Thank you! Remember, for EVERY shift volunteered, whether a full 1:00-5:30 slot or a 1:00-3:30 slot, each volunteer will receive TWO FREE MONTHS of co-op membership. In addition, for every 1:00-5:30 shift completed, each volunteer will receive a $5 Walmart gift/gas card! Spa City Local Farm Market Co-op: One more market before Christmas! Just a reminder that the Co-op market will close tomorrow night, and that there is only one more market before Christmas. Our vendors offer lots of goodies that would make great gifts and stocking stuffers, and buying from them keeps your holiday dollars local. On another note, be sure that if you need to contact someone regarding volunteering, that should go to our awesome volunteer coordinator Karen Harbut, not Karen Holcomb. Karen Harbut’s email is kgharbut@aol.com. Enjoy the holiday season, and thanks for your support of Spa City Co-op. ALFN Local Food Club: Market Closes Tomorrow!